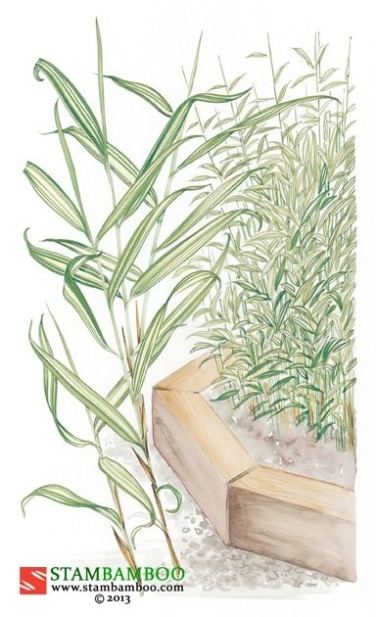 The word “Shimofuri” means “frost-fall” in Japanese, and is a perfect metaphor for the frosted sheen on the foliage of this rare and exquisite, medium-height bamboo. 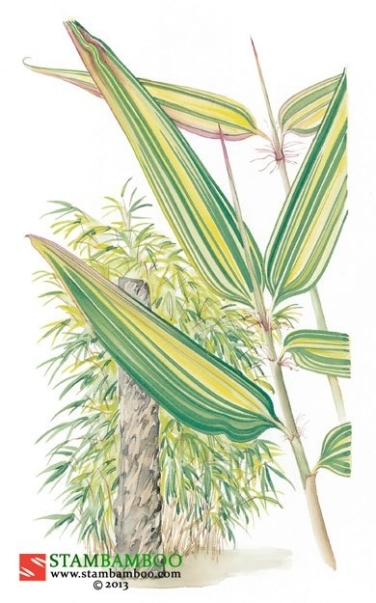 The large leaves, which are borne in palmate clusters at the top of slim canes, are subtly striped with fine white lines, giving a delicately muted variegation. 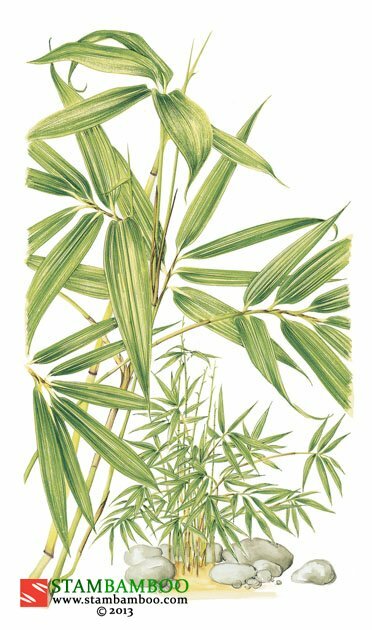 Despite its refined appearance, this bamboo is a robust, grow-anywhere plant, requiring only a little shade to prevent leaf-scorch. 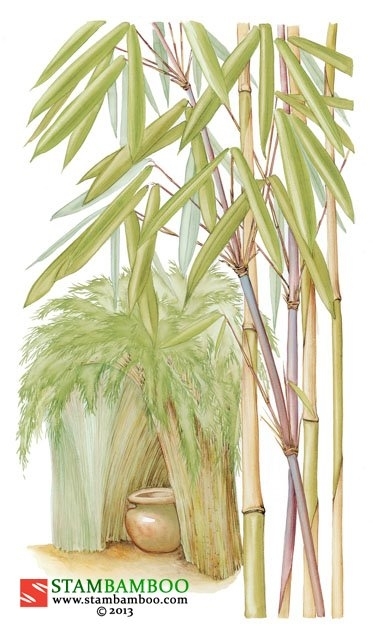 The rhizomes are somewhat running, but they are not as energetic as those of most other Sasa.